Description: Charming and recently renovated 5BR , 3.5 Farmhouse set on almost an acre of land is seconds to bike path, tennis, beach and town.Room for the whole gang in this inviting home. A wonderful mix of updated kitchen and baths, with the unique details of the past. 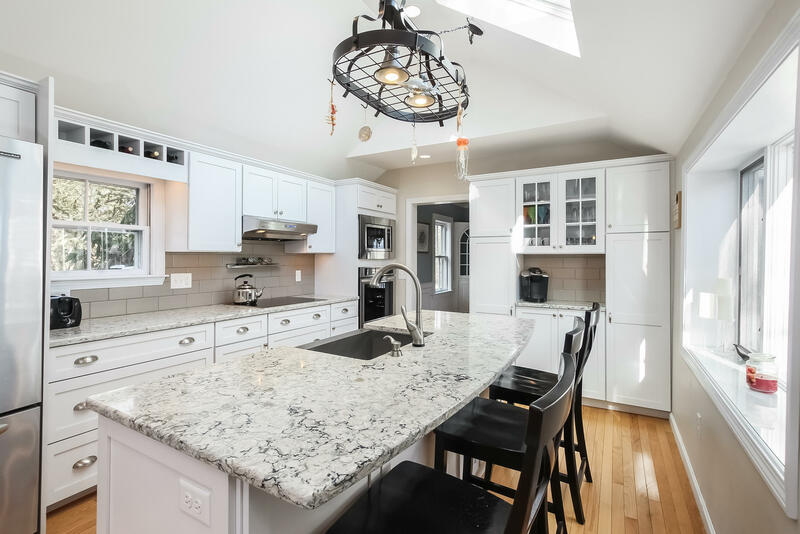 Gleaming kitchen includes breakfast bar, tile backsplash,granite countertops and new stainless steel appliances,and opens to a dining area and family room. Separate living room, home office,and bedroom with private bath complete the first floor. A second , upstairs master bedroom with private bath offers sunny space and privacy. Three additional bedrooms offer flexible accommodations. Successful rental history for those looking to maximize their investment. On town sewer.